"A mother's joy begins when new life is stirring inside... when a tiny heartbeat is heard for the first time, and a playful kick reminds her that she is never alone"
Quiet Side Photography specializes in simple and timeless maternity, newborn, family, baby and child portraiture in Loudoun County and throughout Northern Virginia. Including the cities of Purcellville, Round Hill, Ashburn, Leesburg, Hamilton, Berryville, Aldie, Fairfax, Reston, Arlington, Alexandria, Falls Church, Fairfax County and Washington DC. The life of a boy mom, I know this very well. Our days are filled with noise and dirt and lots of bathroom humor. 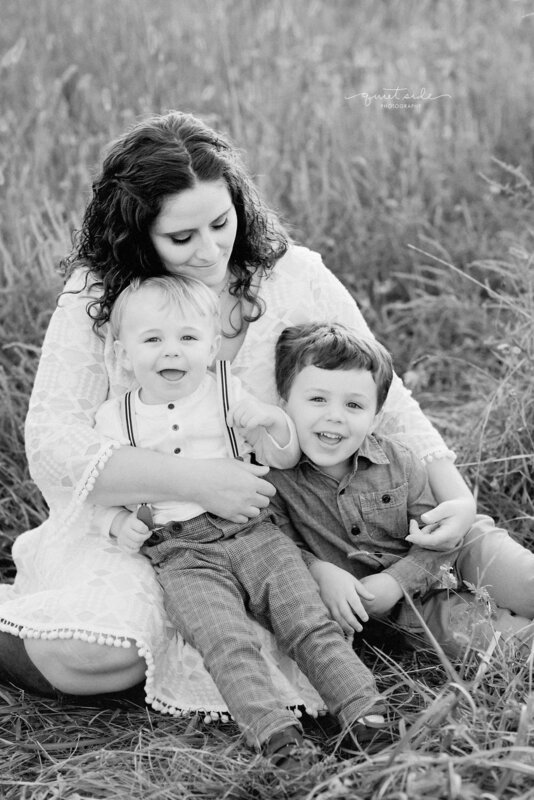 But boys have this incredible gift to bringing us mamas to the edge, and then turn to us and say, "You are the best Mama in the entire world". Yes, boys can be loud and can be very messy, but they are also so kind, so gentle, and boy oh boy, do boys love their mamas. 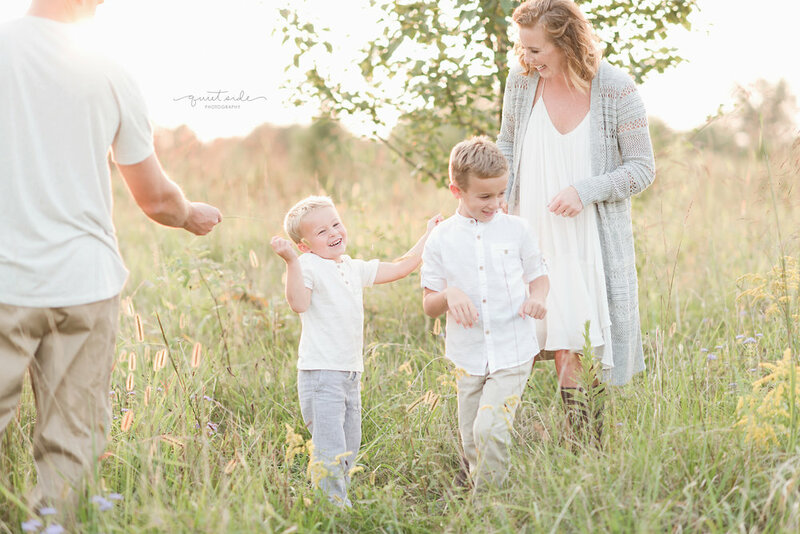 I met this Mama and all her boys to my favorite location for outdoor sunset sessions, 48 Fields, for their annual family portrait session. 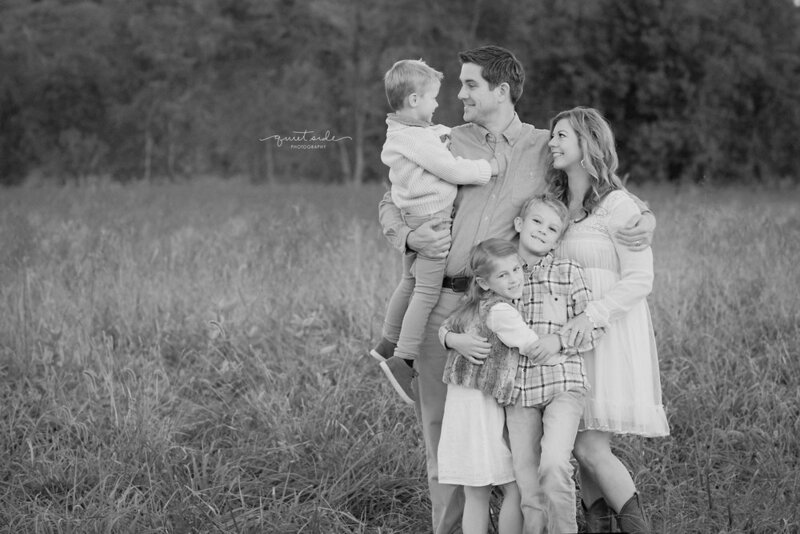 I have had the honor to have photographed this family since the beginning of their family. 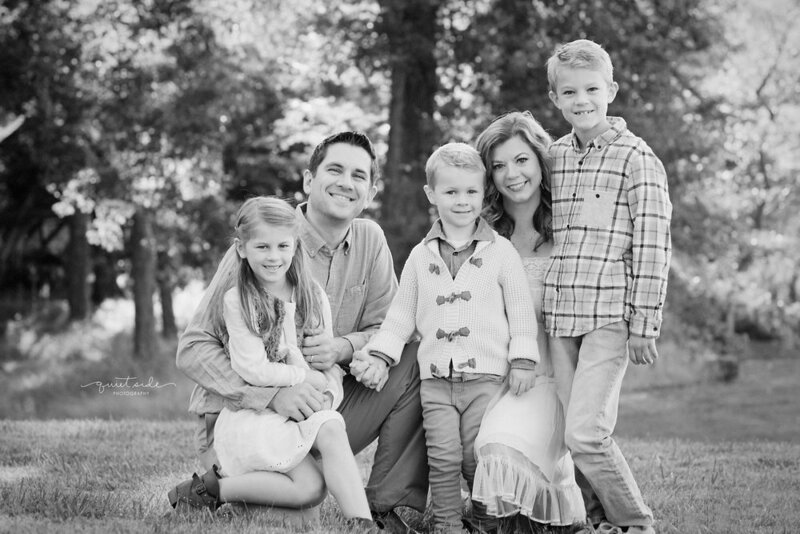 You may remember last year's family session. If not you can find it here. But that evening the sky got very dark and eerie. As soon as the last clicked the shutter for the last time and we said our goodbyes, the sky opened up and it poured. Thankfully, this year, we had nothing but clear skies and beautiful warm sunshine! 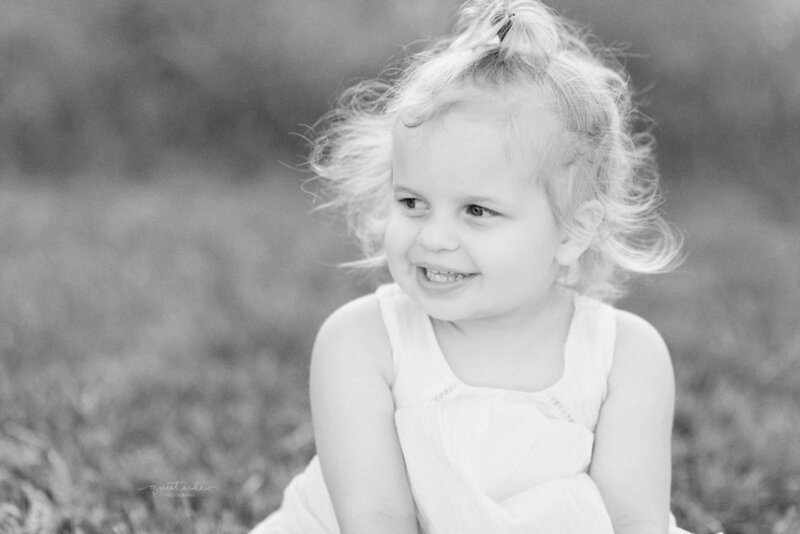 "A daughter is one of the most beautiful gifts this world has to give"
I can not believe that my baby is 2. My baby!!! The one who was just born what seems like 2 minutes ago, is now two years old. Time just flew by the third time around. 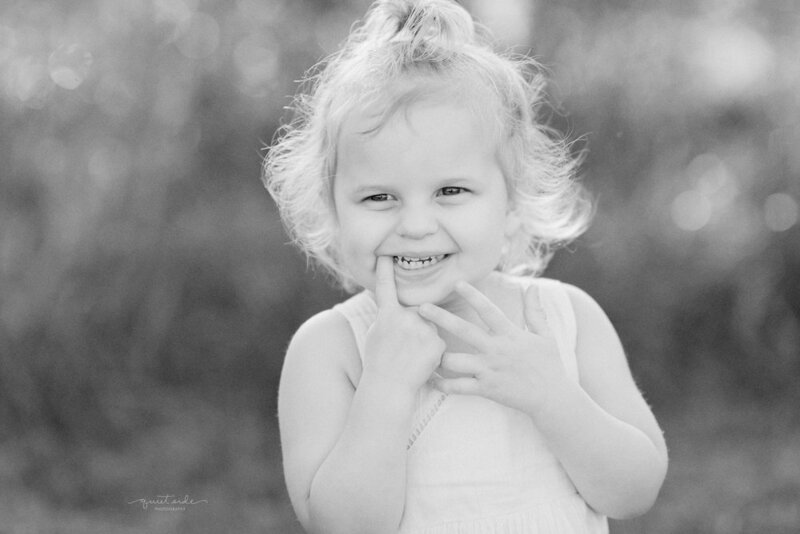 My Emme girl has been such a joy in our lives, and our little sunshine. She is almost always happy and her smile lights up our hearts. After two boys, it is so wonderful to experience a girl. She is so different than her brothers. She sits back and watches more, observing, she is already turning into such a little mama and making sure everyone is okay and comfortable. She often comes up and just starts rubbing our backs or stroking my face with a look of concern as she asks "you ok, mama?". She loves her baby dolls and wearing everyone's shoes and carrying around "backpacks". But don't underestimate, this girl. She's a tough one. Maybe my toughest kid. I guess you have to be with 2 older brothers. As much as she has her quiet moments, she can hold her own in a wrestling match with her brothers. She is starting to become much more independent than her brothers were at this age. She hates the carseat, stroller, highchair, anything that restricts her. She's a big girl, and has places to go, she can't be slowed down or restrained. Emma loves all things Moana and Poppy ("Trolls"). She loves her brothers so much and always wants to be with them. 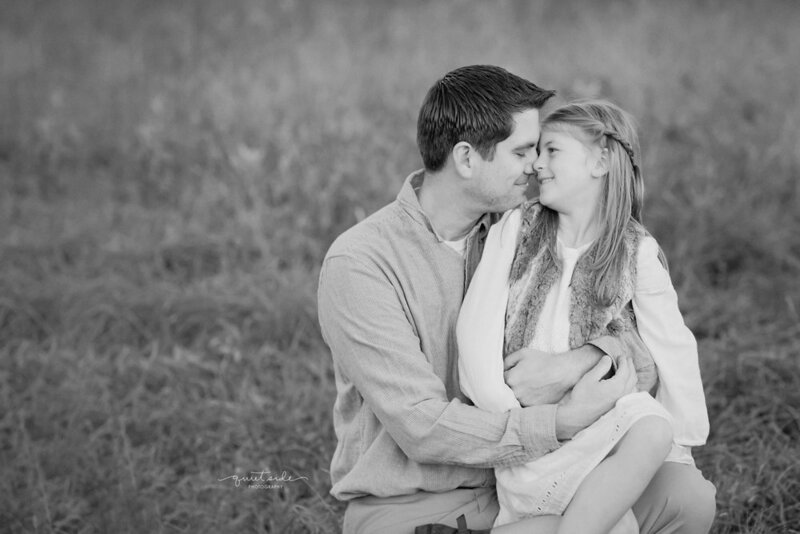 She adores her Daddy, and has him wrapped around her finger. Emma is always always always dancing. I personally, can not wait to sign her up for dance lessons one day. I love her crazy hair that no matter how much we tame it, it becomes unruly in no time. I hope her curls stay forever. She is a sweet girl with a huge heart and so caring. She's a spitfire. She is a wonderful addition to our family. 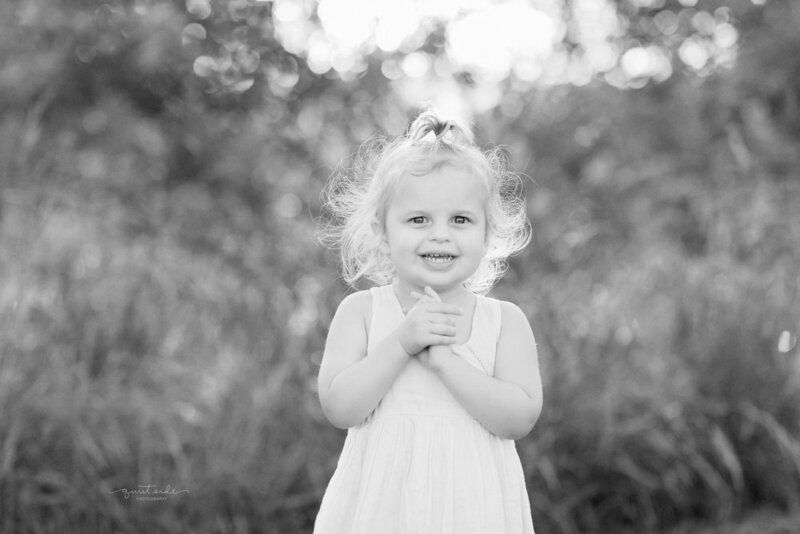 Recently, I took her out to do her 2 year old pictures. And I will say, she loved every minute of being in a pretty dress and having some one-on-one time with her mama, hamming it up for the camera. These images truly capture who she is now. But my absolute favorites were when she was getting tired. When she began sucking her thumb and playing with her neck. This is something she always does, but I know it won't last forever. But it is something that I love about her. Happy 2nd Birthday, sweet baby girl! We love you so much and we are so excited to watch you grow. I think one of the greatest joys as a mother is watching your children become best friends. 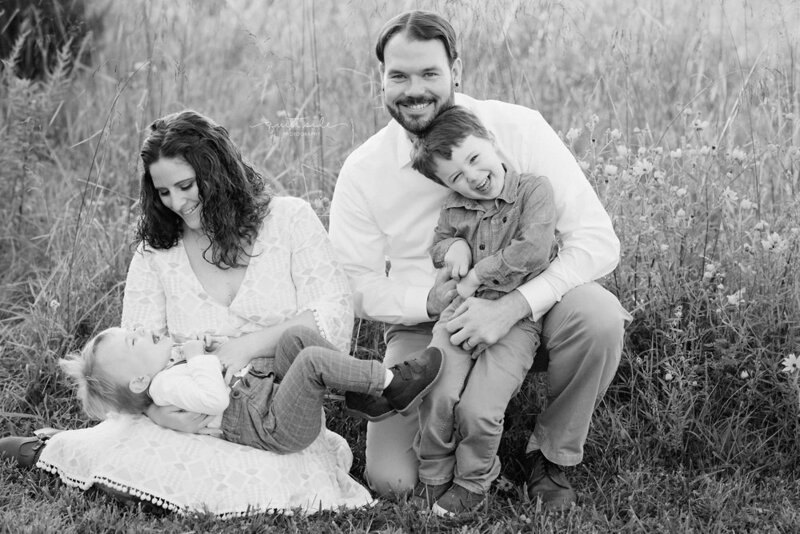 To know that your children will be life-long allies, to know they will always be there for each other, in good times and in times of heartache. That they will always have each other for support and encouragement. 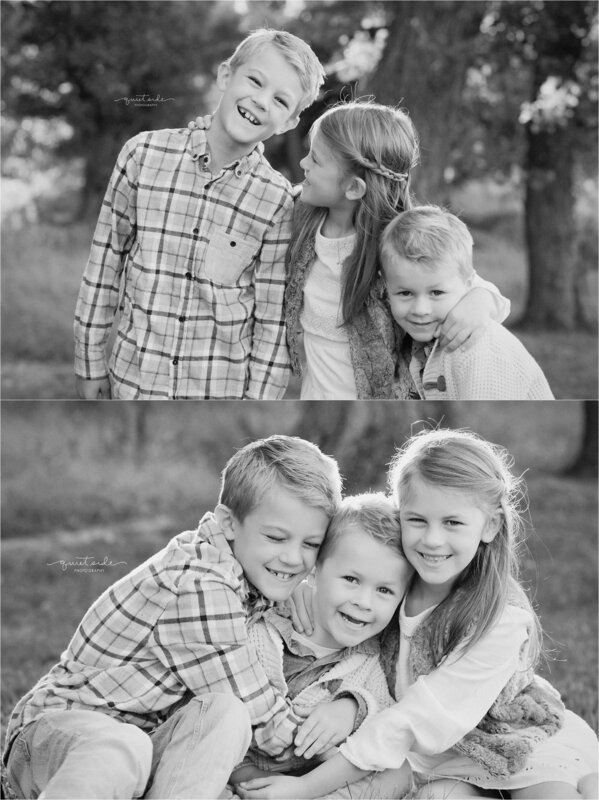 To know that they will always have the greatest bond that only siblings can have. They share their childhood memories, they share your love. They are all pieces of you. 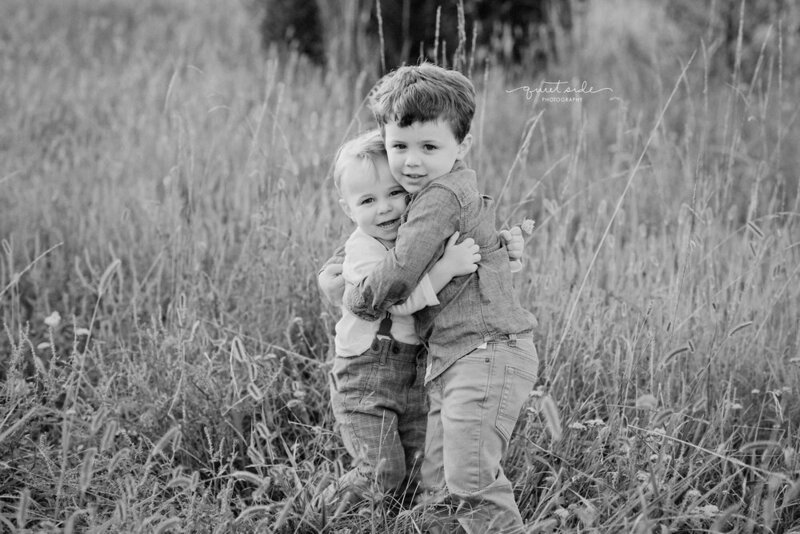 There is no greater gift you can give to your child, than the gift of siblings. They may not always agree, but their love and friendship for each other bonds them together for a lifetime. "We never know the love of a parent, till we become parents ourselves"
One of the greatest honors as a newborn photographer is being able to photograph first time parents. There is something so special about these sessions. Because becoming a parent for the very first time changes your life, it changes who you are, it changes how you see the world. 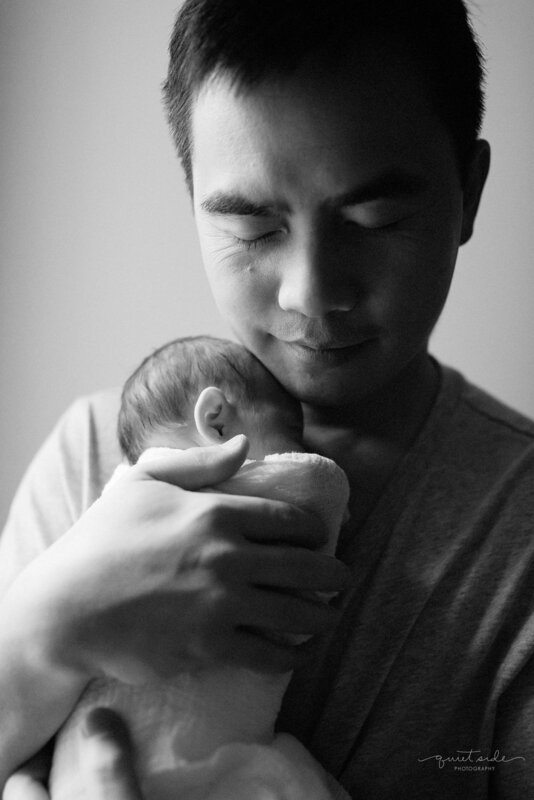 You prepared for months for the day you saw his face and held him in your arms for the first time, and no matter how you imagined it, it was nothing like the actual moment when you saw his face and held him in your arms for the first time. You never knew that you could love like this before. 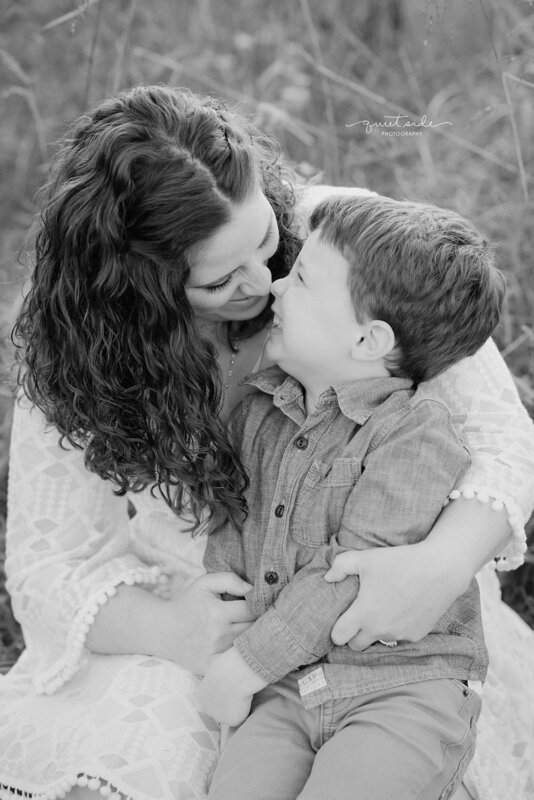 You knew you would love your child, but you had no idea just how powerful that love could be. You quickly realize, your entire life, your entire world, is wrapped up in this tiny person. And from that moment on, nothing would be the same again. For you are now a mother. You look down at your little boy, and you see yourself, you see your husband. And you have never had more purpose in your life before. 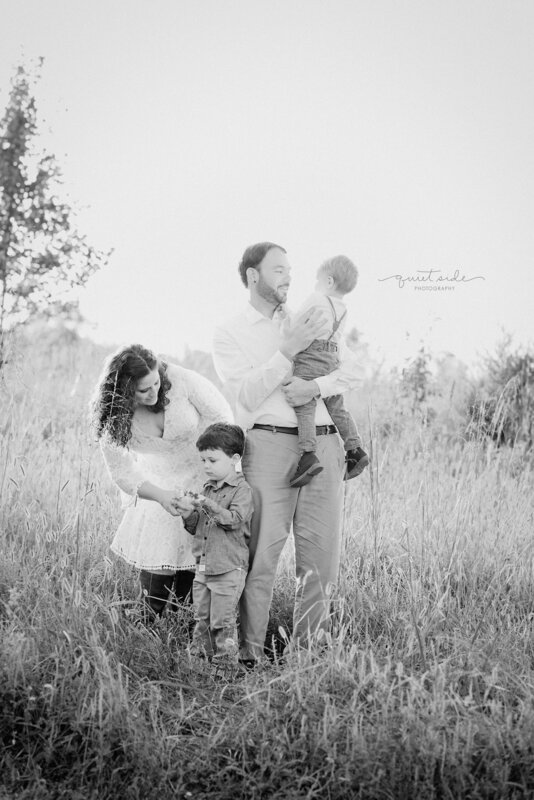 I absolutely love how simple and timeless these black and white portraits are of this beautiful family of three! But, what you can't tell from these images is that sweet baby Emmett had the best red hair! I'm a sucker for redheads (and secretly wished I was one), so we had to capture his beautiful head full of red hair for his parents to remember forever. After all, neither of his parents predicted red hair when the imagined what their baby boy would look like. I love fun surprises like that. And I am sure that baby Emmett will be full of surprises for the rest of his life. There are days in your life that shakes you to the core, that change who you are, that you know from this day forward, you will never be the same person as you were yesterday. These days are often surrounding birth and death. One of these days, for me, was June 13,2007. 11 years ago. 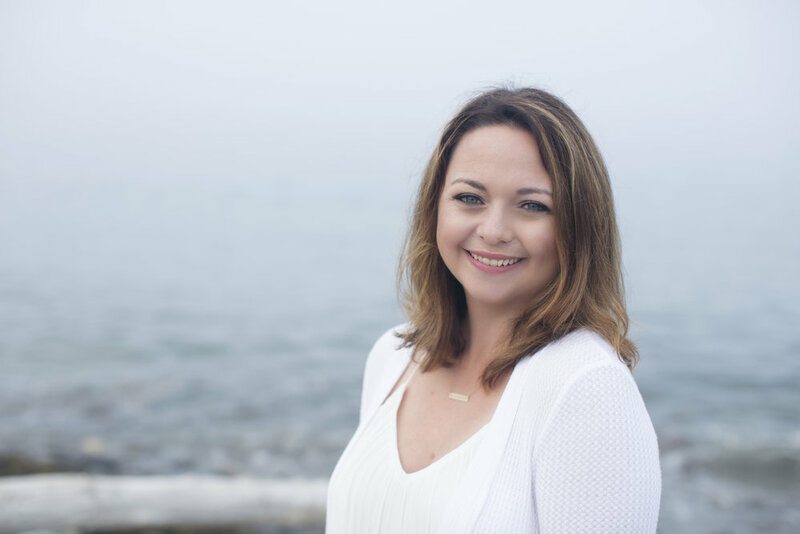 When I was a naive girl in my mid-twenties who thought I knew it all and ready take the world by storm, when one phone call stopped me in my tracks. It was the day I lost my father. It has been 11 years, and I have learned to live in a world without him. It’s no longer a day of sadness,the raw emotion has faded. It’s now a day of reflection. My father & I did not have the best relationship and our mutual stubbornness hindered us from forgiveness and moving on and cost us so much precious time. So my psa today is to forgive, to love, and to be present in the moment. Because tomorrow is never promised. I know that this day, 11 years ago, shaped me in many ways including in my work. 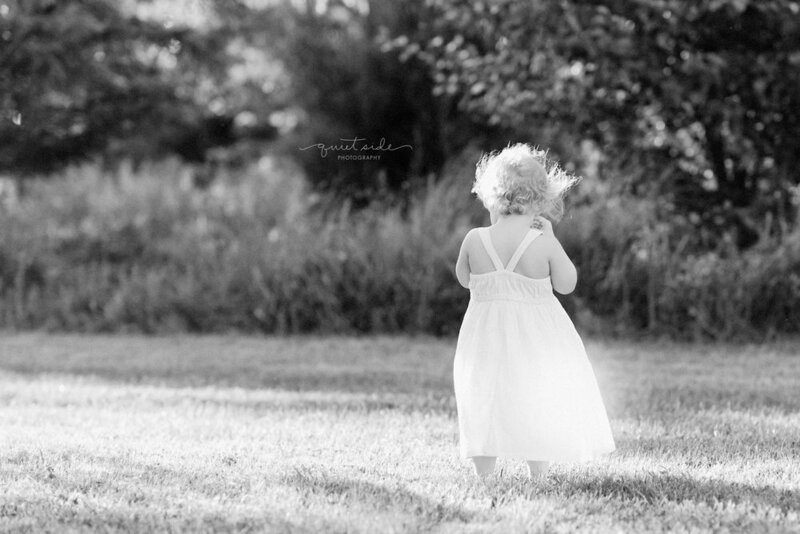 I think that is why I have chosen to photograph the beautiful relationship between a parent and a child. Because it is one of the most sacred relationships we will ever have. I’m not sharing this for sympathy, I am just sharing my truth. An inside look into my story. Today, for me, is a day of reflection, of remembrance, and of celebration of all the moments I am blessed to have with the ones I love. This image of my father & me is my absolute favorite. Taken at our family lake house in Maine. It is one of the most sacred possessions I own. We are on full-on birthday mode here at my house. Which comes when I have all of my children at the same time of the year. A few days ago, my son, Andrew, turned four. FOUR! I can not believe it. It feels like yesterday that I met my 9.5 lb baby boy with the most vibrant blue eyes for the first time. And now, he is such a big boy. Time is going by so quickly. Andrew just finished up his year in pre-school and so excited to start Pre-K in the fall. I think he is most excited about being one of the big kids at school. Andrew is my goofball. He is always trying to make me laugh and he loves being silly. He is my messiest child. He is typically covered head to toe in dirt and mud. An encounter with Andrew usually means that you too, will end up dirty. Andrew loves to dig in the dirt with his trucks and loves to build epic cities and play police all over the floor. He likes to have blankets over his head and constantly building forts. The boy does not sit still for long. He's always on the move. He is a bit mischievous and keeps me on my toes. But he is a mama's boy. He loves cuddle time and for me to sing to him (which says a lot, because I could be the worst singer on the planet). He's a caring little guy with the biggest heart. He loves when family comes to visit us, which isn't often, but when it happens Andrew will be attached to their legs always loving up on them and will talk about the visit everyday for months. Andrew has really been interested in building. He loves stealing his brother's legos and making big creations with them. Typically a police station or boat, all with his imagination, and they are really good. He loves playing "city". He gets all his police guys out and all his police cars out and lets his imagination run wild. (The imagination explosion that happens around 4 is my favorite part about this stage). This past weekend, we threw him a police birthday party. Lucky for us, one of our best friends is a police officer. He kindly put on his uniform and drove his cruiser over. The kids loved being about to check out the cruiser and when the lights & sirens were going. Officer Mike came in and talked to all the kids about what police officers do and why they are important and then all the kids got "sworn in" as actual police officers, themselves. Which was great fun! All the kids had a blast! Right before his birthday, I took Andrew out for his yearly pictures. He is a typical photographer's kid who doesn't like to look at the camera, and he took a little time to warm up to his mom putting her camera in his face, but I do have to say, I was able to catch his personality at this season of his life perfectly. 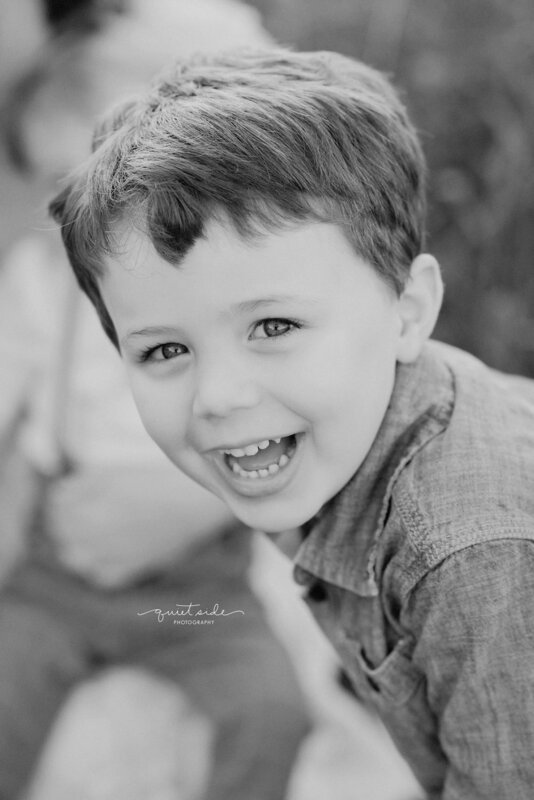 His mischievous grin, his bright blue eyes, his silliness, this is truly who Andrew is today. 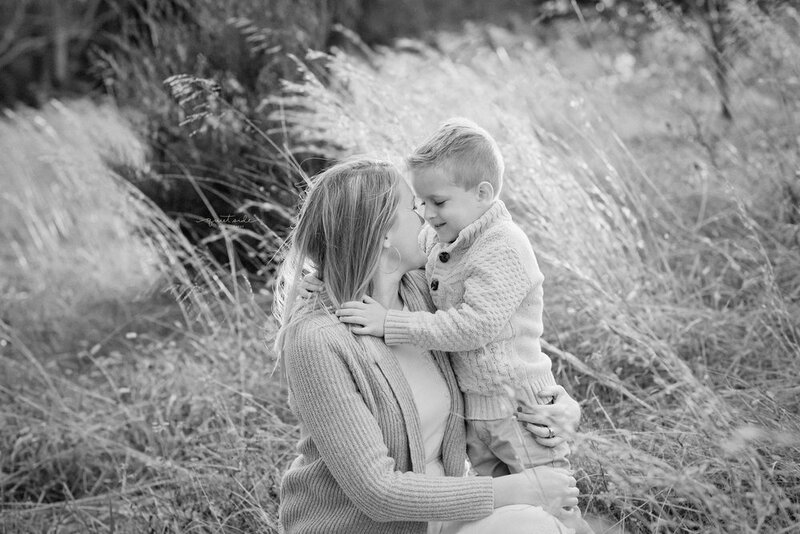 "The bond between mother and son is a special one...It is the purest love- unconditional and true"
"You know every story, every wound, every memory. 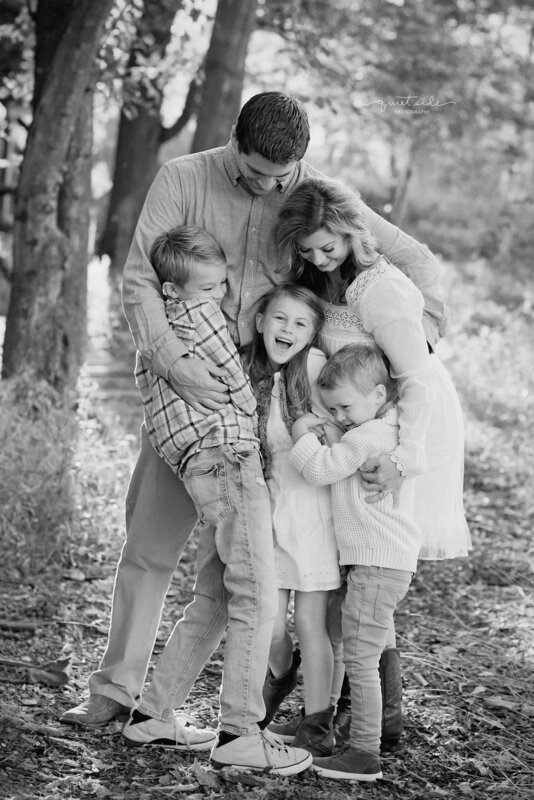 Their whole life's happiness is wrapped up in you... every single second." 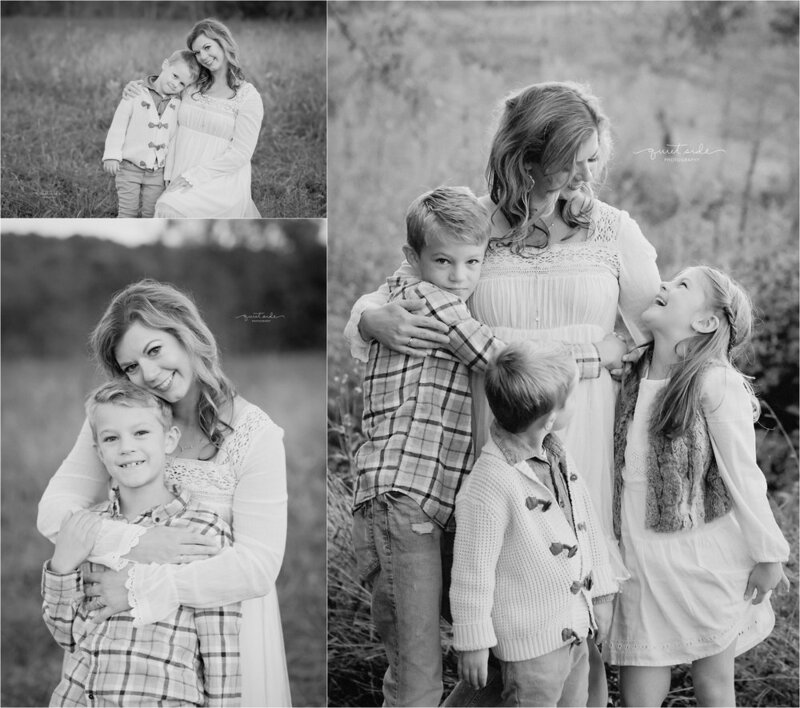 I am truly grateful to all the Quiet Side Photography mothers who allowed me to photograph their motherhood story. 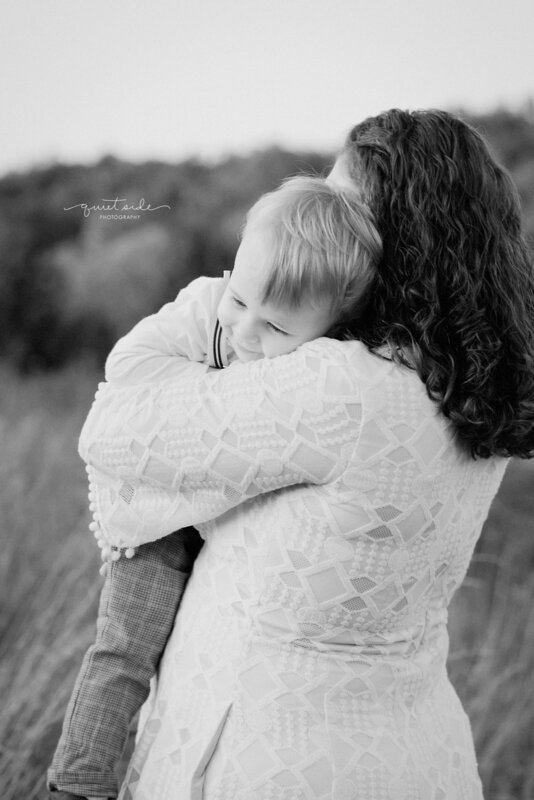 To me, there is nothing more beautiful and powerful than a mother's love for her child. 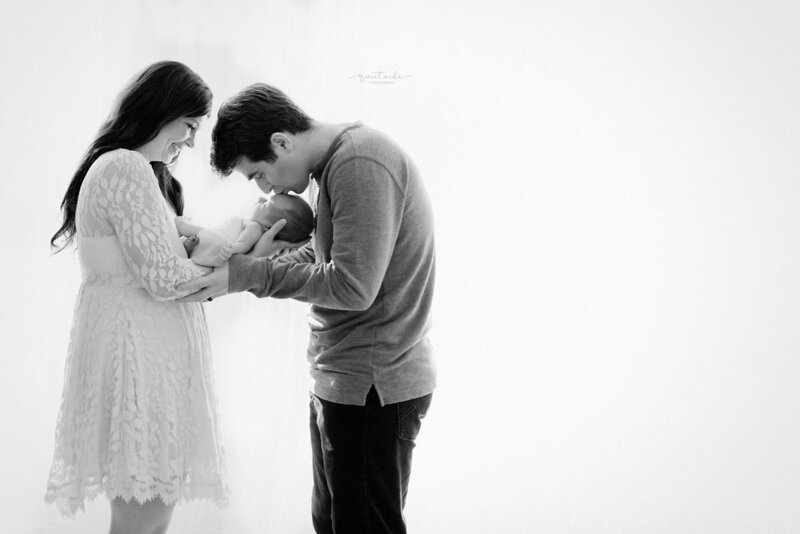 And I am so honored that I can capture these beautiful moments with your babies. Today is about you, and everything you do! You know you'll always be my little girl"